Are you tired of struggling with your parenting? Do you know how to save yourself from potential disasters or mediocre relationships with your children? Dr. Bill Koerner had enough with hearing about parenting relationships that had stalled or failed, so he did something about it. As it was revealed to him through his newfound relationship with Christ along with the Biblical principles of scripture, he gave thanks by writing about his experiences and spiritual growth, and created a reference guide for seekers of successful parenting relationships. Dr. Koerner is a practicing Licensed Specialist in School Psychology, holds a Masters degree in Applied Psychology and a Ph.D. in Educational Psychology. He currently resides and works in the Dallas/Ft Worth area and is the proud father of an 8 year old daughter. 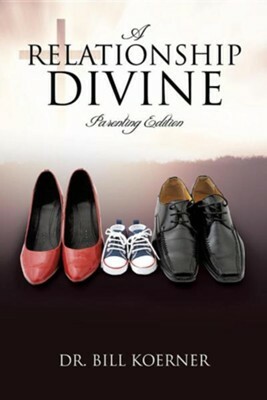 Another book written by Dr. Koerner, released at the same time as this text is entitled A Relationship Divine: Discovering and Loving the One Chosen for You, which follows a similar template as the Parenting edition, and addresses building and maintaining exceptional relationships, as well as learning how to rule out potential failures. I'm the author/artist and I want to review A Relationship Divine: Parenting Edition.